ST. JOSEPH/BENTON HARBOR, MI — Berrien County Judge John Dewane ruled the Benton Harbor recall election against Mayor James Hightower can be held. This is a major victory for the people against fascist county and city governments, directed by the Whirlpool Corporation. 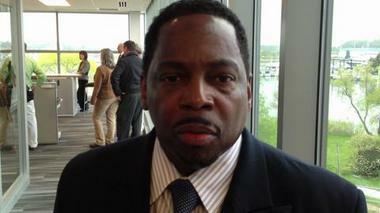 The Benton Harbor mayoral recall election will now be held on Nov. 4, 2014. The order was issued Tuesday, August 12 by Judge John Dewane after the Aug. 7 civil trial. Judge Dewayne ruled that County elections administrator Carolyn Toliver removed more than 100 good petition signatures to attempt to prevent the mayoral recall election organized by Benton Harbor and Benton Township residents. The decision to schedule the election hinged on Judge DeWane’s decision that the practice of the Berrien County Clerk’s office to disqualify both signatures, (instead of just one) if a person signed a recall petition twice, violates First Amendment free speech rights. Rev. 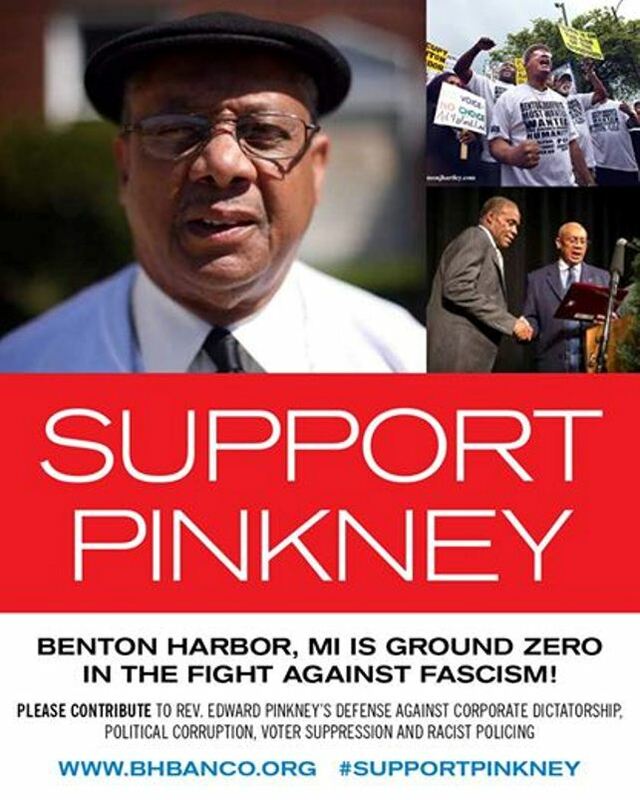 Edward Pinkney speaks at rally against Emergency Manager law May 26, 2012 in Benton Harbor. [VOD: According to a report from ABC57 News, “The judge allowed some signatures that were previously disqualified to be reinstated. The judge did not discount all signatures that were [allegedly] altered, just those that appeared to have been collected prior to November 9, 60-days from the date the petitions were submitted to the clerk’s office. The judge also found the clerk’s office disqualified both signatures if a person signed twice. After adding 21 of those back into the count, the judge counted 407 signatures by qualified, registered voters. The petitoners needed 393 signatures for a recall election to happen. 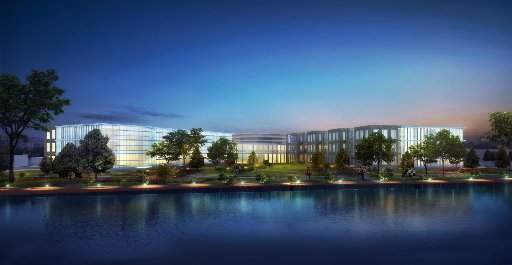 $85 Million Whirlpool HQ in Benton Harbor, recently bullt despite the fact that they have moved all their plants and jobs for residents out of the city. 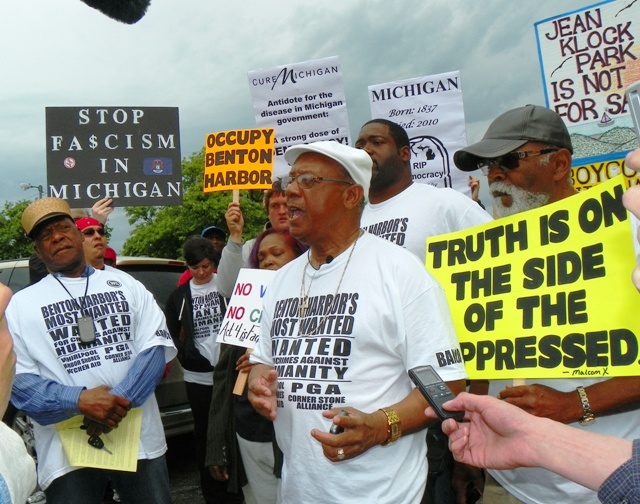 They have also taken over large swaths of land adjacent to Benton Harbor’s beautiful lakefront Jean Klock Park, to build condos for the wealthy and a golf course for PGA tournaments. What you’re about to read is absolutely true. Whirlpool most likely directed her to take this action, probably a first in US election history. Whirlpool was desperate because their man Hightower was losing by a large margin in the absentee ballots. (Those were sent out before the powers-that-be called off the election. This is a tremendous victory for people all around the country, with all the corruption not just in Benton Harbor.